Is MsPropHouse the no.1 tagahanga of sonny with a chance, so ranom, sonny munroe and limonada mouth?! ang napili ng mga taga-hanga: NO!!!!!!!!!!!!!!!!!!!!!!!!!! Do you think I'm the #1 tagahanga of Sonny With a Chance? Name everyone in this pic and win props! Hi,Are you the biggest MsPropHouse fan? Who can guess my paborito SWAC character? 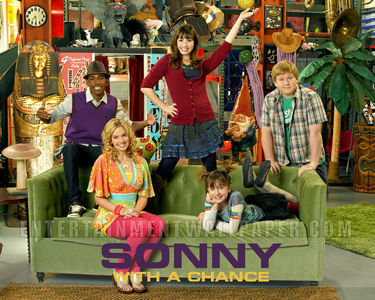 Chad Dylan Cooper saying Peace Out Sukas on Sonny With a Chance! I don't own this all copyrights go to Disney Channel. a comment was made to the pop quiz question: What's my paborito Sonny With a Chance episode? What is the episode where Chad takes the pagpaparangal House away? MsPropHouse is back!! Check out her new account! !